1.01 The responsibilities and commitments made by individuals signing the ORS external grant and contract cover sheet. 1.02 That all applications for external research funding must be accompanied by a completed ORS external grant and contract cover sheet. 2.00 Signature/Approval: a signature added to the ORS external grant and contract cover sheet. 3.00 This policy applies to all applications submitted by Laurier faculty members or librarians seeking to obtain external research funding. 4.01 The Principal Investigator/Applicant has submitted an application that is complete and accurate to the best of their knowledge and that they are eligible to apply at the time of submission. 4.02 The Principal Investigator / Applicant has sufficient space, time and/or resources to undertake the research as described in the application. If additional space, time and/or resources are required these have been approved (in writing) by their Faculty Dean or equivalent. 4.03 If an award is made, the Principal Investigator / Applicant agrees to abide by the award regulations of the granting agency/sponsor and applicable university policies, such as those related to procurement and management of research funds. 4.04 If an award is made, the Principal Investigator / Applicant will use the award only for the purposes for which the award was made and shall be held responsible by the university for resolving any over expenditures of funds and/or improper use of funds. 4.05 If an award is made, the Principal Investigator/Applicant agrees to abide by Laurier’s policies regulating research and its funding, fulfill any necessary Tri-Agency compliance regulations (e.g., regarding the use of animal subjects, human participants, or bio-hazardous materials etc.) and adhere to the Tri-Agency Framework: Responsible Conduct of Research. 4.06 The Principal Investigator/Applicant will promptly notify the ORS of any change in her/his employment status for the duration of the award. 4.07 Where there are co-applicants, the Principal Investigator/Applicant assumes responsibility for the grant and will co-ordinate the project and ensure that all co-applicants contribute as outlined in the application for funding. 4.08 If applicable, co-applicant(s) must sign the ORS cover sheet. The signature(s) of the co-applicant(s) affirm their agreement to points 4.01 to 4.07. 5.00 The signature/approval of the Chair or equivalent1 (as applicable) (i.e., program coordinators or area heads) affirms that any internal academic unit (i.e. department, program area) requirements have been met and the Chair or equivalent is aware of the proposal. 6.01 The Principal Investigator/Applicant has an appropriate academic appointment within her/his unit covering the period of the proposed grant or contract and is eligible to apply according to the agency/sponsor guidelines. 6.02 The Dean will fulfill any obligations to the funding agency/sponsor. 6.03 The Dean will ensure that The Office of Research Services is notified if there is a change in the employment status of the Principal Investigator during the duration of the award. 6.04 Any internal Faculty requirements related to an application for research funding have been met (i.e., the Principal Investigator / Applicant has sufficient space, time and/or resources as consistent with his /her faculty (or library) appointment). 6.05 The Dean is committed to providing those additional resources that have been specifically communicated in writing by the Principal Investigator / Applicant and agreed to be necessary in order to conduct the proposed research. 7.01 The Principal Investigator/Applicant is eligible to apply as confirmed by their Dean or equivalent. 7.02 The appropriate Dean of Faculty (or equivalent) has signed the application. 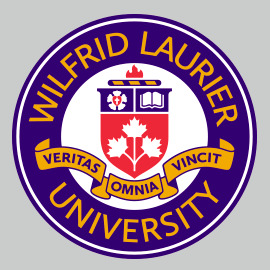 7.03 If an award is made, Wilfrid Laurier University is able and willing to administer the funds on behalf of the granting agency/sponsor in accordance with the guidelines of the granting agency/sponsor and the University. 7.04 In the event that a Principal Investigators employment status with Wilfrid Laurier University changes during the period of the award, the ORS will notify the agency/sponsor. 1 When the Principal Investigator / Applicant is part of a Faculty with a multi-campus presence the Chair and/or Dean (or equivalent) responsible for the academic program should sign the application (i.e., an applicant from the Bachelor of Social Work program at Brantford would need to obtain the signature of the Dean of the Faculty of Social Work).